Free Shipping On ALL Orders Over $396.00 is Back for a Limited Time! HURRY THIS SALE IS ONLY VALID THIS WEEKEND! Free Shipping On Orders Over $396.00! For example; Spend anything over $396.00 on all items excluding truck freight items and get FREE SHIPPING on your entire order. A minimum purchase of $396.00 is required for the coupon to apply. Promotion valid 10-05-18 3pm est. to 10-07-18 at 11:59pm est. Coupon expires 10/07/18 at 11:59pm est. Choose your car below to shop our selections of parts! 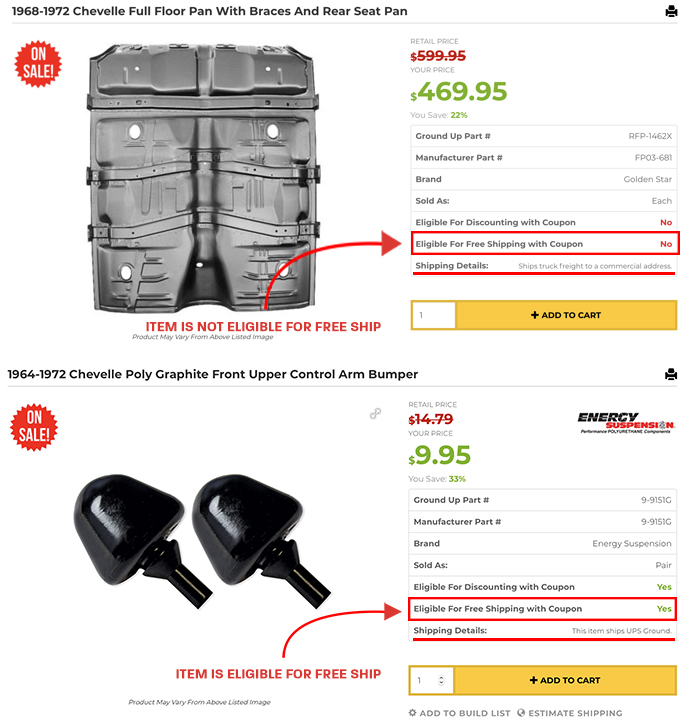 (Discounting information can be found on the product description page for all parts) See the example above. Free shipping does not apply to expedited shipping methods, or truck freight items. If your basket contains a mixture of items marked as Yes and No for free shipping your shipping fee will be reduced to reflect any items set to Yes for “Part eligible for free shipping: Yes” Reduced shipping rates only apply to Ground Shipments within the contiguous United States. 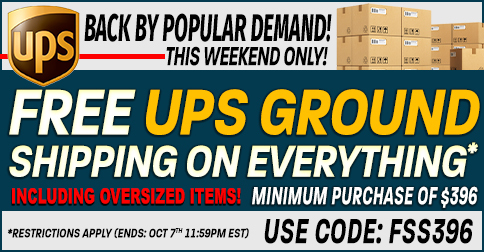 FSS396 coupon codes valid until 10-07-18 at 11:59pm est!